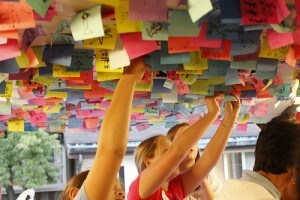 Chua recalls that his learning cohort at d.school started with hundreds of brainstorming post-its for a class project. 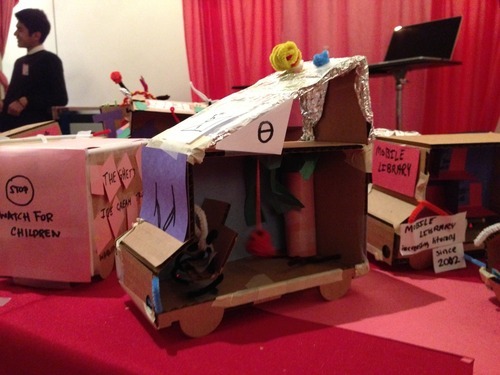 The ‘stupidest’ idea, according to professors, was “the one we knew we had to pursue” – renovating an old delivery truck and loading it up with objects that teach students about prototyping and design with real-world implications and applications. 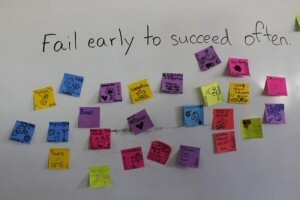 The team of six first tested out their hands-on workshops at local schools around the Bay Area, speaking to educators and making observations about student engagement along the way. “What are these kids not getting in school,” Chua remembers pondering, “that we [designers, artists, and engineers], who know nothing about education, are actually able to provide?” The answer: tinkering skills. The SparkTruck team quickly devised a plan to raise initial funds through Kickstarter and grants, exceeding their fundraising goal by over 20%. They purchased an eleven-foot van, decked it out with tools, and partnered with PBS’ Design Squad Nation and Instructables to embark on a “Sparkin’ Across America” road trip. 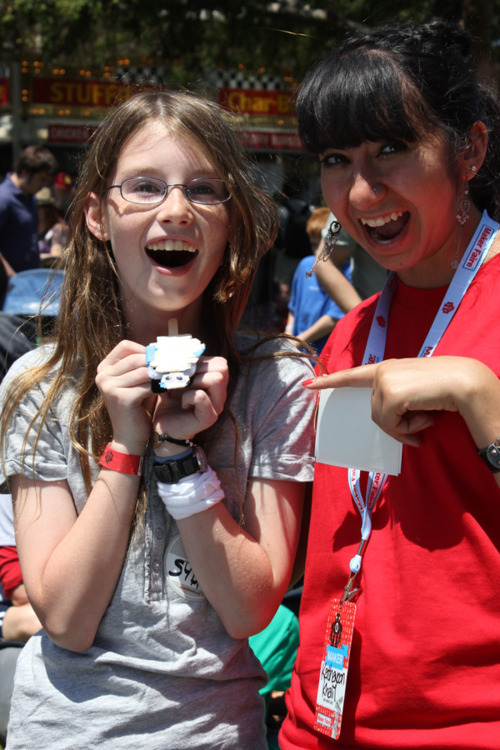 Says Chua, “We started getting calls from schools across the country – heck, across the world – asking if the SparkTruck could come and visit them.” That’s when the team also began asking local communities to help fundraise on their behalf. 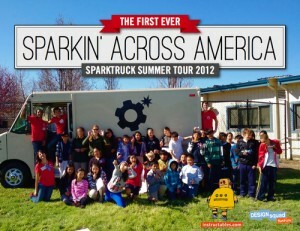 SparkTruck’s inaugural road tour blasted through seventy locations in just six weeks. 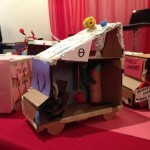 In New York, Sparkees ran a TEDYouth design challenge called, “Build Your Own Mobile Intervention,” in which attendees competed to create their own models for change out of a hand-sized truck. 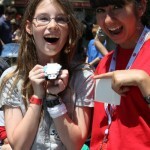 At both the Aspen Ideas Block Party in Colorado and the Seventh Annual Maker Faire in San Mateo, California, students created a Creature Mash Vibrorobot from pager motors, coin cell batteries, foil, foam, pipe cleaners, and pompoms galore. With IBM in Austin, students re-imagined part of their city to design and build, and together made a scale model of their futuristic metropolis. Professionals know: when you’re on a creative roll, quick translation of a theoretical design or abstract idea into action and scaled dimension can drive momentum. Rapid prototyping, much like a flash draft in writing, provides this near-instantaneous gratification. 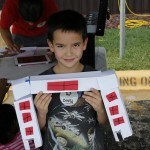 Express creation is also the perfect complement to a child’s attention span. “We use [high-tech and low-tech] tools in tandem with one another,” Chua explains. 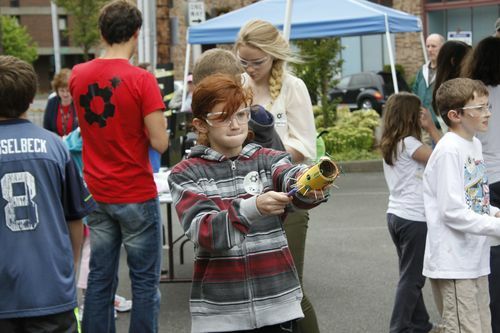 “The high-tech tools like the laser cutter and vinyl cutter get people excited and allow them to create more durable final products, while low-tech tools allow for more freedom of expression and hands on tinkering.” SparkTruck wants to help kids taste success by discovering the value of working through failures and the grit to try something new. 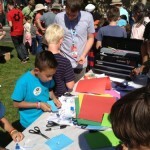 SparkTruck’s workshops focus on a common theme: What can you do to make the world a better place? The first step in the creation process is always brainstorming. Next comes prototyping; for example, a logo used on a stamp for a letter to the mayor, advocating for environmental awareness or animal rights. The third step is storytelling about how one’s creation fits into the world at large. 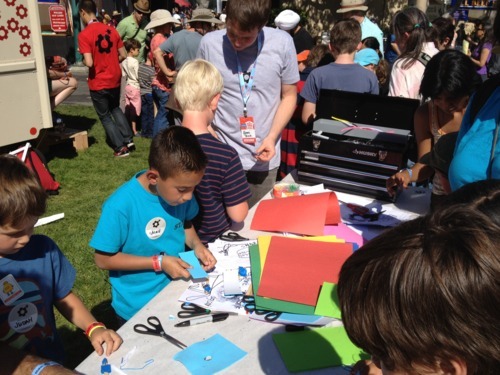 SparkTruck’s mission extends beyond its workshops with kids. 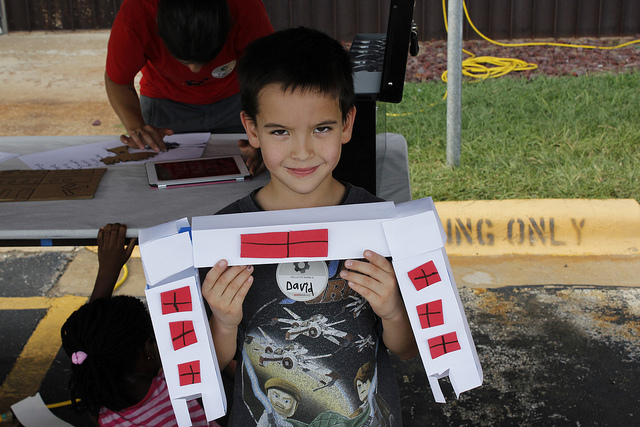 Knowing that they can only reach so many on any given day, the Sparkees wanted to bring the joy of making to thousands of students by teaching local mentors how to run their own design-and-build workshops along the way. “There are a lot of teachers out there interested in progressive, hands-on learning in the classroom,” says Chua. 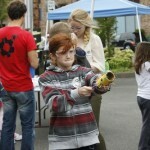 “But it’s difficult to get support from administration and parents. We’re hoping to be something teachers can point to and say, ‘Look at these kids and look at the technology. This is what I’ve been trying to tell you. '” When they’re not teaching workshops, or teaching workshops on teaching workshops, the SparkTruck hangs out in parking lots of coffee shops and libraries and runs impromptu design studios, allowing visitors to watch professional designers at work, using raw materials that fit into tight educational budgets. With nearly 200 educators waitlisted for 2013, SparkTruck’s journey is far from over. While Chua and the rest of the Sparkees aren’t quite sure what the future holds for SparkTruck, they’re speaking with stakeholders about buying out the truck and parking the life-size prototype at Stanford University’s d.school, where it can live on as a continual student project. That way, each year a new group of graduates can take on their own Sparkin’ Across America adventure and experience the overwhelming joy that hands-on learning brings to kids of all ages.